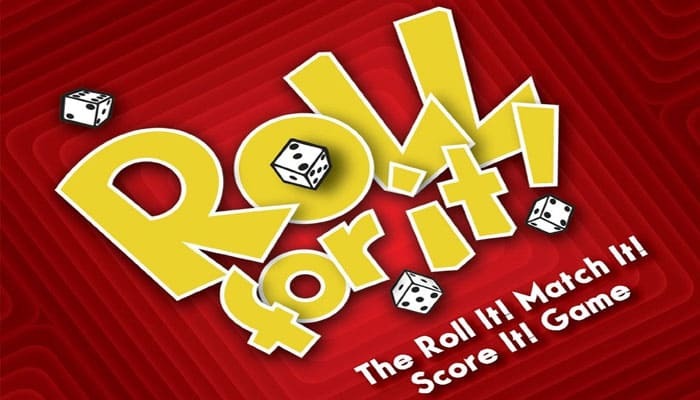 Official Site: Official page for Roll For It! 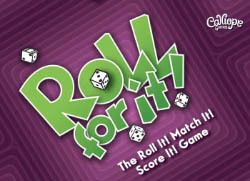 Roll For It! is a simple and quick family-friendly dice and card game. You have to be the first player to collect points by managing dice and matching the appropriate dice to the cards in play. Each player gets 6 dice and is attempting to create certain combinations that match the three drawed traget cards on the table. When a player fulfills the target (like for example a pair of 4s, a quartet of 5s, a specific combination, etc...) he can claim the card and will earn the points written on that card. Cards with higher numbers will be more difficult to match. A scored card will be replaced by a new card from the deck. The first player that scores 40 points or more will win the game. The game rules are so simple to learn. Even a child of 6+ can play this game. If you win the game is based on luck, though the ability to bank dice onto a specific card definitely makes the scoring process a bit easier. You have to figure out when to go for the cards with higher or lower points. Scoring a 15 points card looks attractive, but is not so easy to complete. It's often even not worth in the long run. 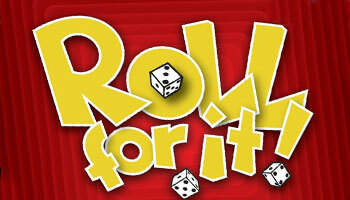 Roll for it! can be played by 2-4 players and the gameplay is really quick. The average duration of a game is about 10 minutes depending on how many people are playing. It's also possible to combine two different versions of the game: the red and the purple version. Like this, you are even able to play with 8 players. The game is a real family game and is very portable to play. The box isn't too big and you can take it with you while you travel. Whether you're a dice-rolling fan or a card game fan, the game will offer you a lot of fun. Each player chooses all six dice of one color. Shuffle the Roll For It! cards and place the deck face down in the center of the table. Deal three cards face up. If you're playing with two decks and 5+ players, deal four instead. All players roll two dice; the highest total goes first. Players take turns rolling their dice.